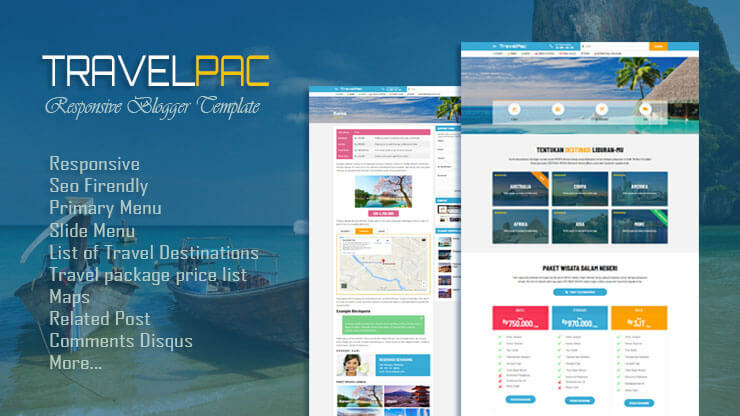 TravelPac is a template designed specifically for travel, has a clean design and ilegan make this template look professional. It's highly responsive, adjusting to the screen size from lower resolutions to higher resolutions, complemented by modern design, speed, optimization ads and many advanced features. And has been equipped with various kinds of features didlamnya such as List of Destination Options, Domestic Tour Packages, Badge Label, User data form (google form) and much more.